Good morning! I'm super excited to share this gorgeous book with you all today. 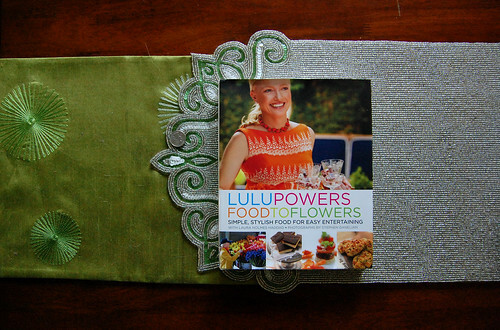 I was recently sent a copy of Lulu Powers: Food to Flowers to review. 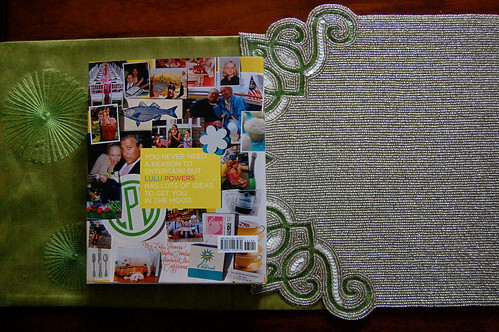 For those of you who are unfamiliar, Lulu Powers is one of Los Angeles's premier caterers and event planners. I love to throw a good party. But sometimes I get stuck in my ways. The same treats. The same decor. The same everything. Food to Flowers offers up a multitude ideas to make any event unforgettable. 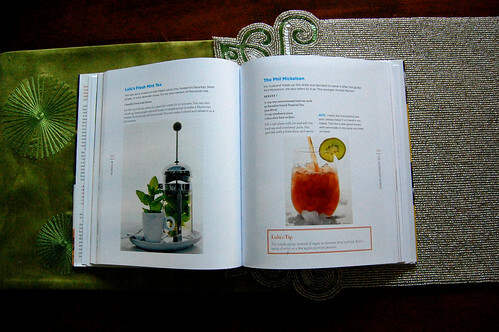 Lulu covers EVERYTHING you could possibly think of from decor to drinks to dishes, etc. But at the heart of it all is the food. And there are recipes that vegetarians and non-vegetarians alike can enjoy. Let's take a peek inside . . . So, whether it's a clambake, retro game night (my favorite), baby shower, high-end brunch, or child's birthday party, you're covered. Not only that, Lulu provides tips and tricks for any stage of life (and by that, I mean BUDGET!). 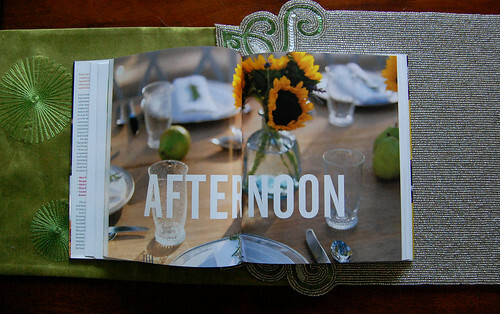 The pages are teeming with clever ideas to make an event not only memorable, but also easy on the wallet. Of course, for more lavish affairs, there are tons of ideas, too. 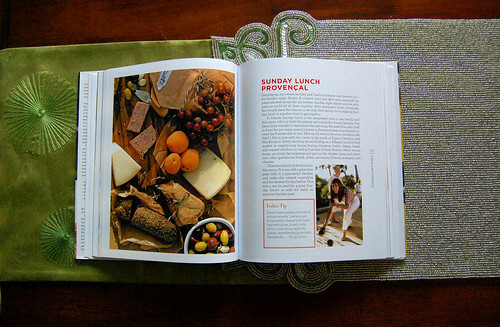 The book's subtitle is "Simple, Stylish Food for Easy Entertaining" -- and that's definitely accurate. 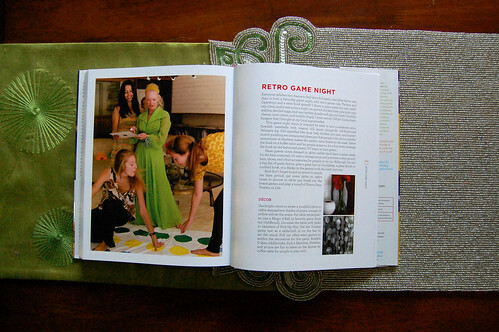 But what's better is that the book isn't just for entertaining guests. 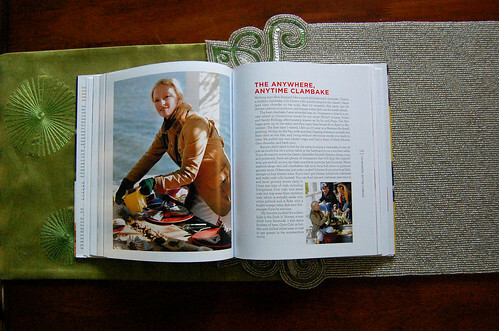 No, you can even entertain yourself by using it as a cookbook! Seriously, there are many, many delicious recipes to choose from. I mean, we like to treat many of our weekend meals as events even if it's just the two of us. So, if you're looking for a book that will do double duty -- this one is it. 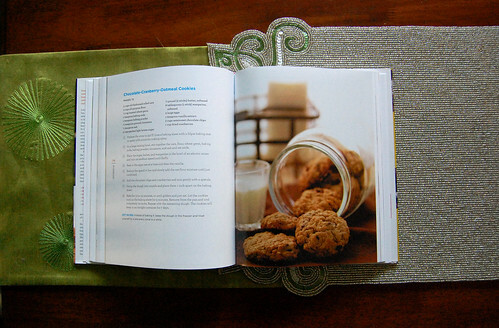 It's bursting with recipes for anything from chocolate-cranberry oatmeal cookies to fresh mint tea! The book, as all do, comes to a close . 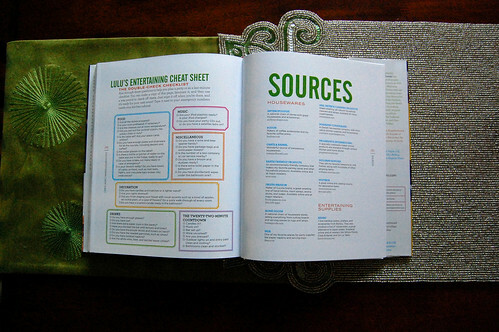 . . but not without pages upon pages of sources, tips, and checklists. Overall, if you're looking for a good book on entertaining, you should seriously consider checking this one out. 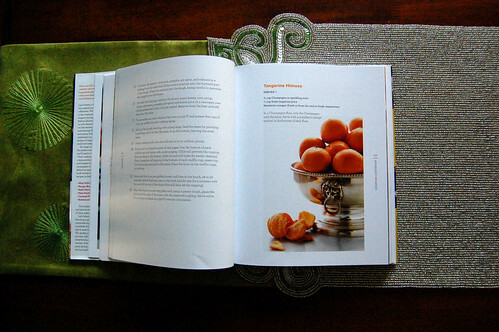 It's one of my new favorite go-to books, especially for the food photography inspiration (by Stephen Danelian).